Why should you donate a car to the National Sports Center for the Disabled (NSCD)? 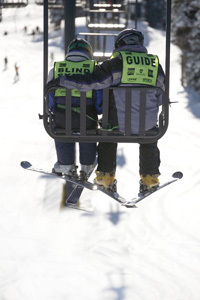 The NSCD began in 1970 providing ski lessons for children with amputations for the Children’s Hospital of Denver. Based out of Winter Park Resort and Sports Authority Field at Mile High, the NSCD is one of the largest outdoor therapeutic recreation agencies in the world. Each year more than 3,000 children and adults with disabilities participate in our programs to learn more about sports and themselves. 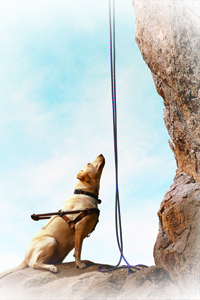 With specially trained staff and volunteers, and its own adaptive equipment lab, the NSCD teaches a variety of winter and summer sports and activities to individuals with almost any physical, cognitive, emotional or behavioral diagnosis. Mission Statement: We enable the human spirit through therapeutic sports and recreation. Vision Statement: The NSCD is recognized around the world as a premier therapeutic recreation organization, providing leadership and expertise in adaptive sports. The NSCD offers a variety of year-around sports and recreational adventures. In the winter participants enjoy alpine skiing, snowboarding, cross-country skiing, Nordic hut trips, snowshoeing and ski racing. Additionally the NSCD offers indoor soccer and lacrosse as well as rock climbing and indoor kayak lessons. In the summer we offer Sports Ability Clinics, rafting, kayaking, canoeing, special camps, horse pack trips, therapeutic horseback riding, mountain biking, camping and rock climbing. All programs are designed for individuals, families and groups and are available for all levels of ability, from beginner to advanced. We look forward to seeing you or your group this season. ADD/ADHD, amputation, arthritis, autism, behavioral health, bone disorder, brain injury, cerebral palsy, deafness, developmental disabilities, diabetes, down syndrome, epilepsy, fragile X syndrome, hemophilia, learning disabilities, multiple sclerosis, muscular disorder, muscular dystrophy, nerve disorders, neurological disorders, paraplegia, post-polio, post-traumatic stress disorder, quadriplegia, respiratory disorder, spina bifida, spinal cord injury, stroke, substance abuse, vision loss/blindness. Sports and recreation activities are expensive, and our participants depend on us to provide equipment, instructors, coaches and training. The NSCD receives only 15 percent of its revenue from participant fees, retail sales, and other sources. The remaining 85 percent comes from philanthropic gifts, grants, events, and sponsorships. The NSCD appreciates your generosity as it is vital in helping us provide life-enhancing opportunities to people with disabilities. For more information or to donate money to NSCD please visit their website at http://nscd.org. NSCD is located in Colorado, but operate nationally. A car donation to NSCD will provide valuable resources to NSCD in their efforts to give the disabled access to sports. Donate a car today to support NSCD.